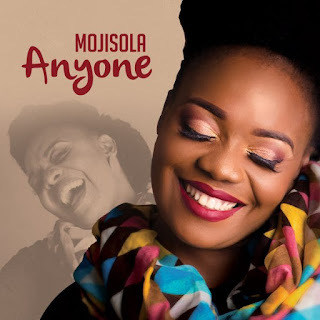 UK-based Gospel Singer-Songwriter MOJISOLA delivers her third offering with the release of “Anyone”. “ANYONE”, a mid-tempo gospel ballad, is described by MOJISOLA as one of love. “A love letter to everyone, an invitation and a reminder at the same time. “We quote so many scriptures as Christians but God is inviting us to take what we actually profess seriously word for word. He’s asking us to forget the past and be obdurate about embracing the future. “To live the “Let go life”. HIS message to all who have or who will embrace the Gospel of JESUS CHRIST in 2019 is simple. 2nd Corinthians 5:17. “ANYONE” is also available to buy/stream on all major online platforms; iTunes, Spotify, Google Play, Amazon music. If any One be in Christ, No condemnation. Cos I’m God and i’m great like that. This was also followed by the release of her debut music video of her second single which some have termed a “Bar-Raising, trailblazing music Video of excellent and unique quality” which aired on Dove TV worldwide and is scheduled to air on KICC TV and TBN AFRICA. It also received outstanding reviews from viewers all around the world. The Song has also earned her a feature on the Tru-life Gospel Compilation Album, One of UKs Top Gospel Promo Platforms, the album launched in early January 2019. Whilst seemingly still new and budding on the gospel music scene, MOJISOLA is a seasoned praise and worship minister with an extensive music ministry that spans through many years, dating back almost 20years. MOJISOLA is a Registered Nurse by Profession, A wife, Mentor and A mother of Two.